Winter can be a harsh and unrelenting season; especially for a newborn Plover. But Ploey is no ordinary chick. 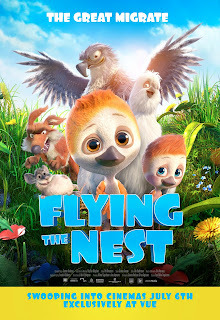 FLYING THE NEST is the heart-warming tale of how far a little bird will go to be reunited with his true love, available exclusively at Vue nationwide from 6th July, 2018 courtesy of Signature Entertainment. Join Ploey on his adventure through paradise valley, as he learns the importance of friendship and the value of having faith in your own abilities. FLYING THE NEST is an uplifting journey that’s guaranteed to give families visiting Vue cinemas the perfect start to the summer!